I had been in Napier for 8 days now – it was time to head out. The morning of my departure I didn’t have a certain direction so I just picked one at relative random given my location – Mt. Ruapehu. I’d try snowboarding in New Zealand before the ski slopes closed. 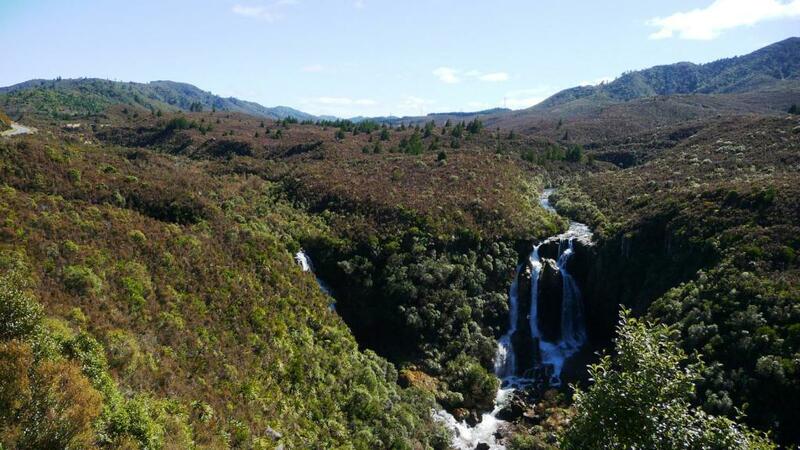 While there a few days, I’d look for my next WWOOF/HelpX host in the centers of Taupo or Rotorua, 1-2 hours to the north of Mt. Ruapehu. As I piled my stuff into my car, my phone rang. It was a call-back from a telephone interview I had for the day before – I got the position, starting in 4 days! Since I’d be working in the shadow of Mt. Ruapehu and would have numerous chances to hit the slopes before the season closed in November, I quickly changed my plans…and checked the weather forecast for Whakatane. You may recall that Whakatane was where I attempted to step foot onto an active marine volcano, but the weather cancelled the tours. Forecast – Sunny, clear, calm winds and warm. Off I went. Since the tour wasn’t scheduled to leave until 930am the next morning, I had plenty of time. The drive itself would be 300km one way – about 3.5 hours or so. 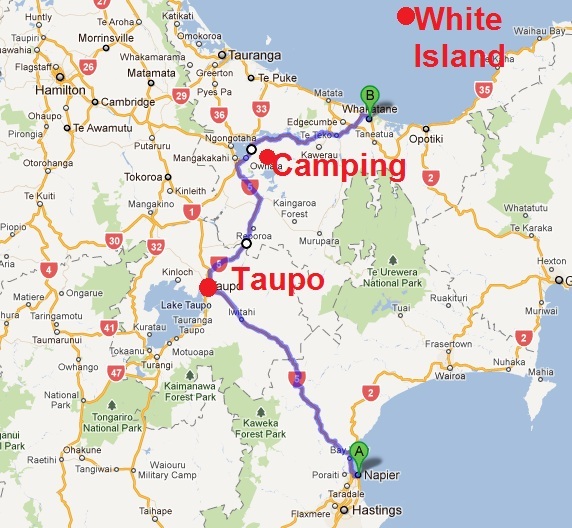 I decided to break up the drive a bit as well and look for a place to camp near Rotorua, less than 100km from Whakatane. This also left me with several hours of daylight to do my favourite thing – explore. Except, from Napier to Taupo, there was almost nothing worth stopping for. The one notable part was Waipunga Falls, easily seen from a highway rest stop. No hiking necessary here. 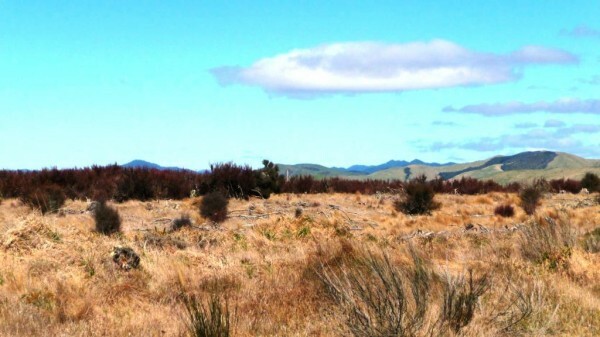 After that, passing into the Central region of the north island the vegetation changed rapidly from rolling green hills to flatter shrubland. It wasn’t until I hit the town of Taupo that I made a stop for lunch and to explore. 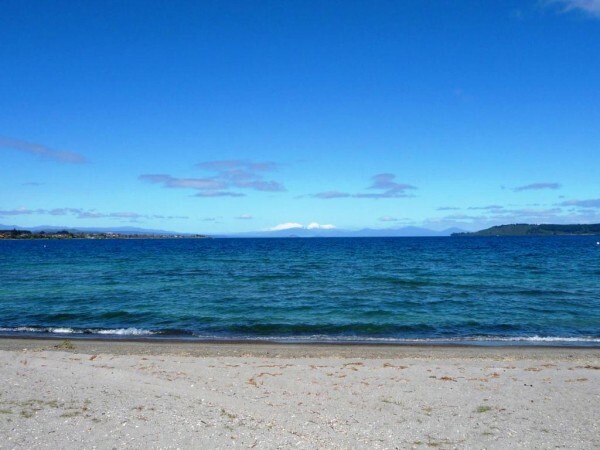 Taupo is a smaller town on the edge of Lake Taupo – the largest lake in New Zealand. And Lake Taupo wasn’t formed in the more typical lake fashion of glacial drawback or anything boring like that. Nope, it was created via the largest volcanic eruption in the last 70,000 years. The lake is actually the massive caldera formed when the supervolcano erupted 26,000+ years ago. The perimeter is 193km. That would have been a HUGE eruption. Now, it’s just a pleasant looking lake. At the far end you can see a trio of volcano peaks – from left to right, Mt. Ruapehu, conical Mt. Ngauruhoe in the middle (aka Mt. Doom in the Lord of the Ring films), and Mt. 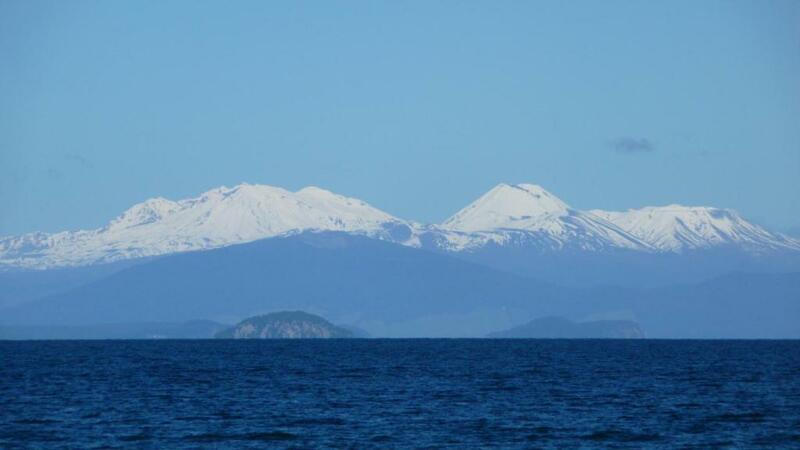 Tongariro on the right side. 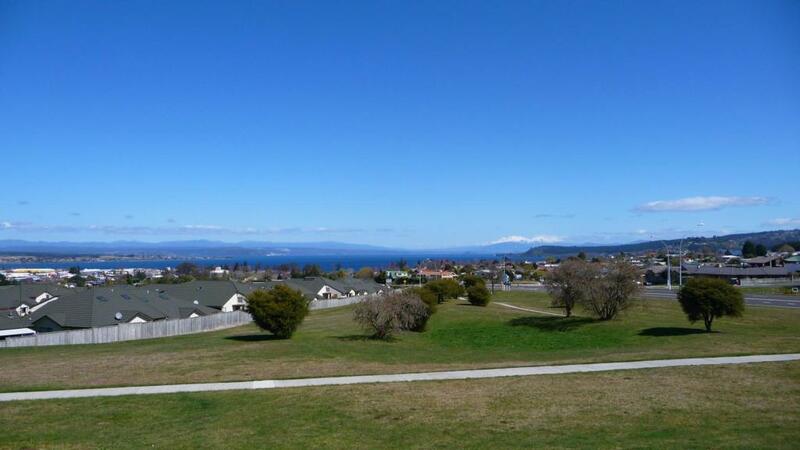 Taupo itself was an enjoyable town – I’ll return here once I have finished my work in Ohakune I think. But for now, I bid it adieu. 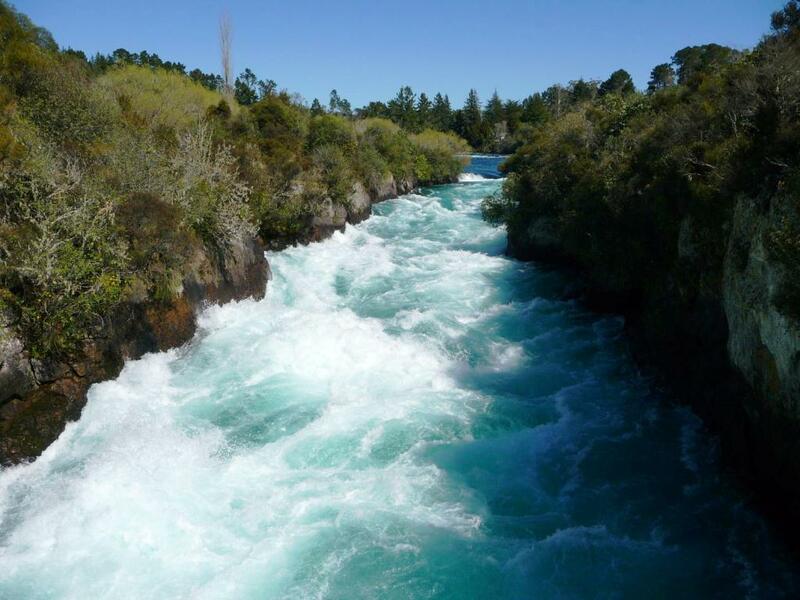 I didn’t make it far before making another stop – this time at the Huka Falls. Height-wise the falls aren’t the most impressive. It’s the sheer volume of water pouring rapidly through them that is – 220,000L per second. 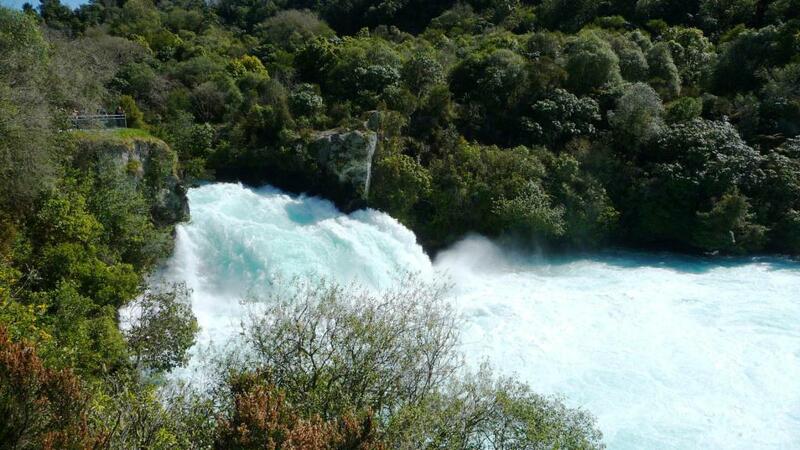 Given the relatively tight chasm and high volume flow, the falls absolutely roar. Pretty cool little spot and again, very easily accessible. Probably only 2 minutes of walking time needed in total. After my stops in and around Taupo, I picked up the pace and headed north to Rotorua. I’d be back here later anyways, since there were several spots I saw that I want to hike and explore between Rotorua and Taupo. But that would have to wait, the sun was dropping lower and lower and I had to find my campsite. 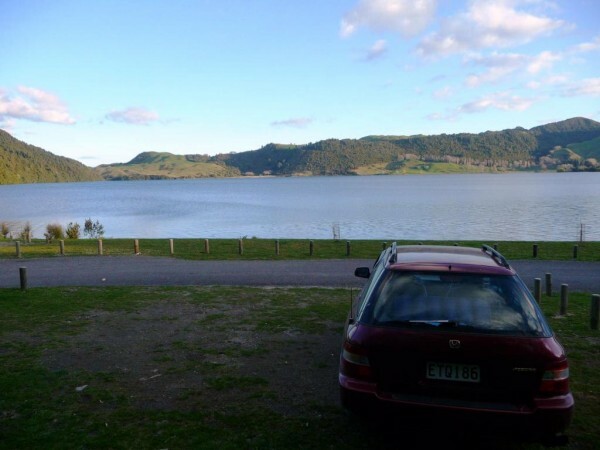 Which I did, and got to enjoy the last hours of sunshine over the small lake of Okareka, 15 minutes from Rotorua. I settled in for the night, and got ready for my adventure on White Island tomorrow morning. I did forget to check one thing before doing all of this – the weather at night in Rotorua. The day was absolutely gorgeous, around 18-20C and tons of sun, so why worry? 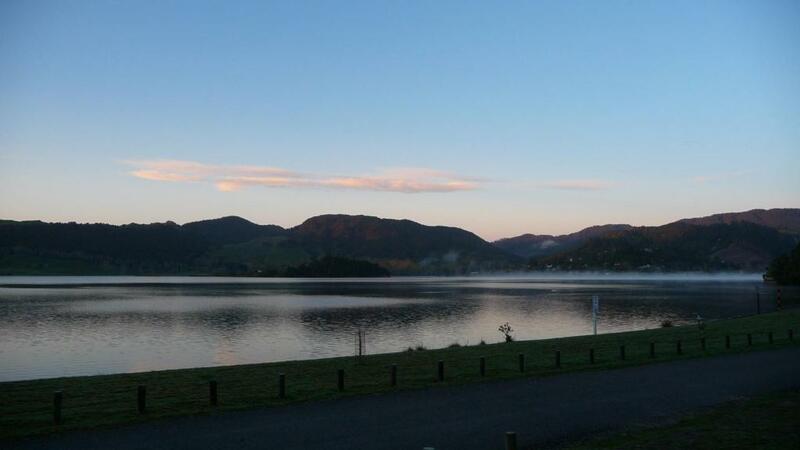 It turned out I camped in the COLDEST area in all of New Zealand that night, reaching a frigid -0.4C. My sleeping bag is rated to 1C, so suffice to say, I was freezing! There was an eerie mist in the morning over the lake as I packed things up, being chased away by the sun. At 730am, I was on the road again, heading northbound. This entry was posted in Central Region, Hawke's Bay, New Zealand, Travel by Colin. Bookmark the permalink.